** The USA Today Bestseller** **The number one Kindle bestseller** 'A cleverly crafted novel and an enthralling story... A triumph.' DINAH JEFFERIES A Russian grand duchess and an English journalist. Linked by one of the world's greatest mysteries . . . Love. Guilt. Heartbreak. 1914 Russia is on the brink of collapse, and the Romanov family faces a terrifyingly uncertain future. Grand Duchess Tatiana has fallen in love with cavalry officer Dmitri, but events take a catastrophic turn, placing their romance - and their lives - in danger . . . 2016 Kitty Fisher escapes to her great-grandfather's remote cabin in America, after a devastating revelation makes her flee London. There, on the shores of Lake Akanabee, she discovers the spectacular jewelled pendant that will lead her to a long-buried family secret . . . 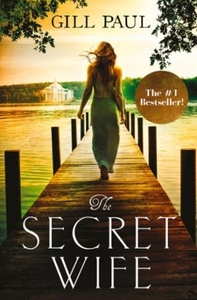 Haunting, moving and beautifully written, The Secret Wife effortlessly crosses centuries, as past merges with present in an unforgettable story of love, loss and resilience. Perfect for fans of Kate Morton and Dinah Jefferies.